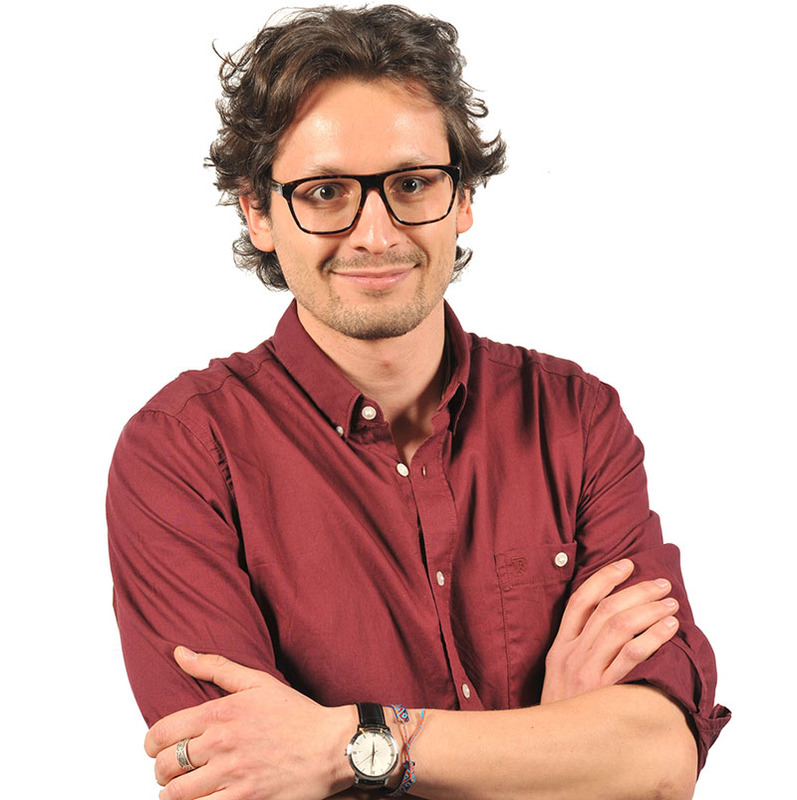 I am Head of Data Science at Jobandtalent and Research Collaborator in the Web Research Group at UPF. Previous experiences: STUART, YAHOO LABS, TWITTER and IRISA/INRIA. My background includes Predictive Models, Data Mining, Information Retrieval, Machine Learning, User Modeling, Recommendation Systems and Online Computational Advertising. Recently I'm getting more interested in the Discrete Optimization problems. I have worked with many different large data collections such as Flickr, Yahoo News, Yahoo query- and web-logs, and as well on Twitter data. I have also done various researches on credit card user's transactions, Sentiment Analysis with Yahoo and Yelp data, and geographic localization of images and videos. I am a Mac/Unix user, and my specialties are Apache Hadoop/PIG, Java, Python and R.
Michele Trevisiol, Gabriele Tolomei, Nicola Barbieri, Mounia Lalmas, Fabrizio Silvestri and Puneet Mohan Sangal. “Generating Actionable Suggestions for Improving User Engagement”. US SN 14/954,118, Filled: Nov 2015. Michele Trevisiol, Luca Maria Aiello, Luca Chiarandini and Alejandro Jaimes. “User Behavior Models Based On Source URL”. US 2014/0189525, Filled: Dec 2012, Published: July 2014. Michele Trevisiol, Olivier van Laere and Gianmarco de Francisci Morales. “A Method and System for Retrieving Geo-Location of Media Content with a Hierarchical Divide and Conquer Approach”. Published in IP.com, Aug 2014. Michele Trevisiol, Luca Maria Aiello, Luca Chiarandini and Alejandro Jaimes. “Method for Identifying Interests of Users in Online Content and Categorizing the Online Content”. Published in IP.com, Dec 2013. Michele Trevisiol, Lluis Garcia Pueyo, Yannis Kalantidis and Roelof van Zwol. “Scalable Triangulation Based Logo Recognition”. Published in IP.com, April 2011. TechCrunch presents “Stuart, The Same-Hour Delivery Startup From Sparrow And Resto-In Founders, Raises €22M Pre-Launch”, Nov 18, 2015. MIT TechReview presents “Yahoo Labs' Algorithm Identifies Creativity in 6-Second Vine Videos”, MIT TechReview - Emerging Technology From the arXiv, Nov. 24, 2014. I participated with Luca Chiarandini at the Innova Challenge, the first time the bank has opened his real trade data for a challenge. We participated in two of the three categories. “Application for Customers” category, December 2013. How many times did you get stuck in the queue at a supermarket or at a grocery store? How do you feel to go shopping during the sales period? And when you're visiting some attractions or museums? Have you ever wondered if there is a way in which you could have avoided it? 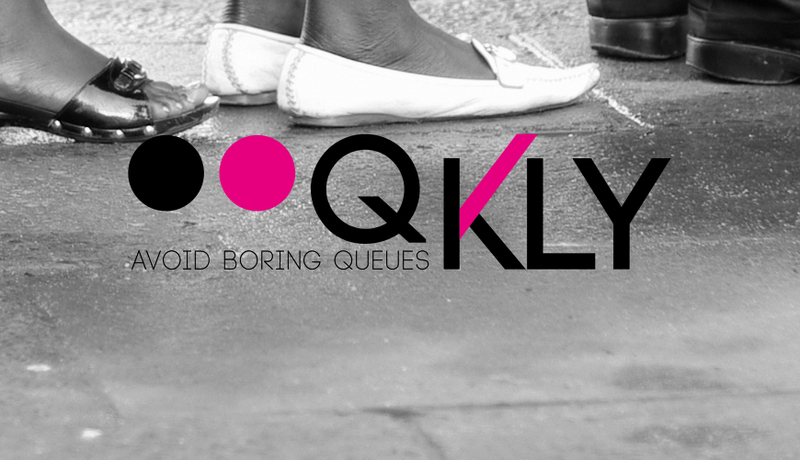 Qkly automatically produces optimized schedules of all the business, attractions, or places based on your preferences. 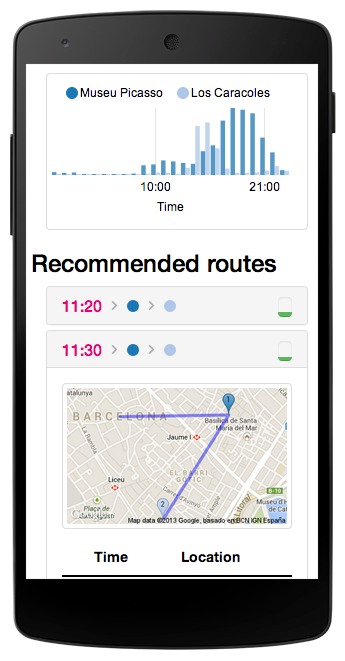 Using historical data provided by the BBVA Open API, Qkly is able to estimate how crowded a place is at a certain time. Based on this information, it helps you to pick the time in which less people are present, so as to save time and avoid stress. 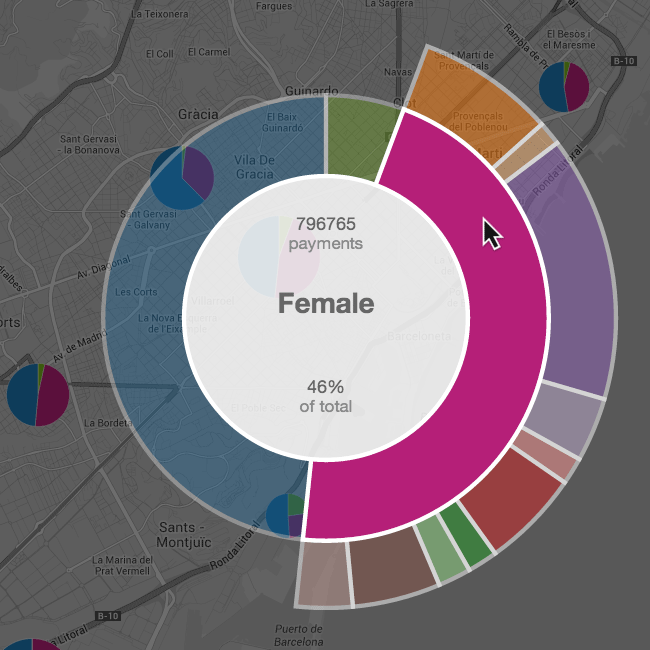 Quartz allows you to explore how people spend their money. 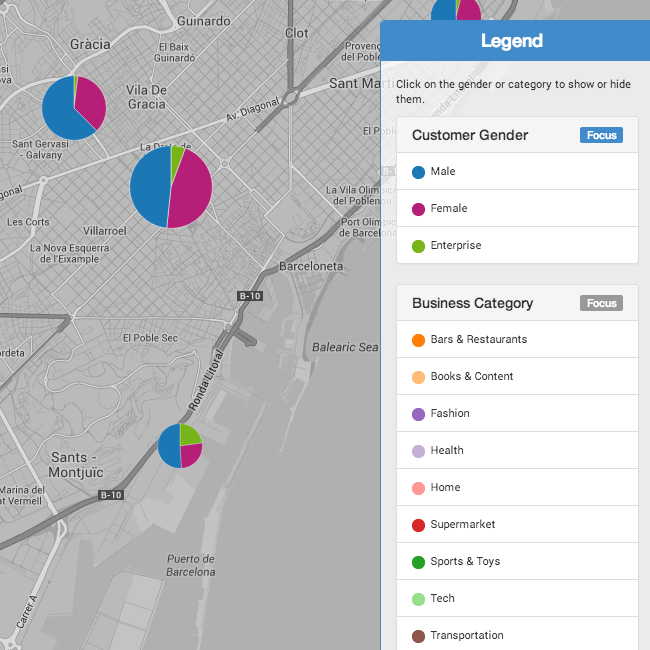 The pie charts on the map represent the amount of money spent by people at a particular location, split by customer gender or business category. The legend on the bottom right corner allows you to filter out genders or categories you are not interested in. If you want more information, you can click on a pie chart to open the Quartz Wheel. If you move the mouse on a segment of the wheel, you can see the number of payments in the center. Also, you can see additional segments on the wheel representing how the payments in the category distribute in sub-segments. If you move from a segment to one of its sub-segment, you will see the percentage of payments in the segment which refer to it, as well as the percentage on the total amount for the location.